McRee Learning Center offers you the freedom and flexibility of 24/7 online learning with highly targeted exam prep courses. 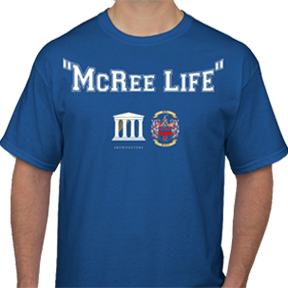 McRee students have the freedom and convenience to study anywhere, anytime. This turns your train ride into a study session, a park bench into your desk, or your kitchen table into a classroom. Using our targeted U Test Prep system, you go at your own pace and you no longer need to spend time on things that won’t be on the test. All this leaves more time for…you! Accomplish everything you need to get done by managing your time. Dedicating time to each area of your life can lead to greater fulfillment and satisfaction. 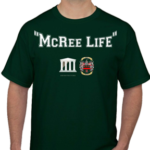 The McRee Institute recommends creating a weekly, monthly and/or semester-long schedule to be successful and organized. Manage Online Distractions: There is no foolproof way to prevent yourself from getting online or being distracted by online sites. However, there are a few programs that you could use to temporarily block your access to specific websites that tend to distract you. Here are a few suggestions: SelfControl (Free App for Mac users), Leechblock (Firefox Add-On) and Nanny for Google Chrome. Please read about each program carefully before installing to your computer. Preparation is key is success. We recommend allowing at least 5-7 days to prepare for any upcoming exams. Make sure you do your personal best by using the best exam preparation available. 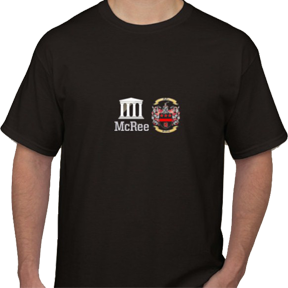 The McRee U Test Prep programs are ideal for last minute cramming and preparations. 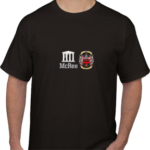 U Test Prep system will ensure that you are confident, prepared and successful! Do you feel discouraged by your exam scores? Are you fully prepared to take your exam, or are you lacking confidence? 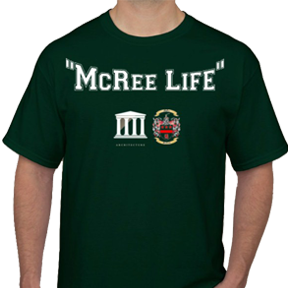 The McRee staff knows the way you study can be more important than how long you study. That is why they have developed the U Test Prep system which uses short, focused and comprehensive simulated exams. Many students experience some level of anxiety during an exam. It becomes an issue when this anxiety affects performance. Fear of failure, procrastination and prior poor performance can all increase test anxiety. The learning experience can be both exhilarating and overwhelming. Often times, students feel pulled in many directions and their time is stretched thin. The wear and tear of busy days can leave some students feeling less motivated. Having these exam preparation tools at your finger tips when you are ready to use them, is key to successfully completing courses. Turn your dreams into reality. 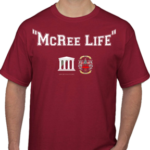 Join other McRee students and pass your exam the first time. 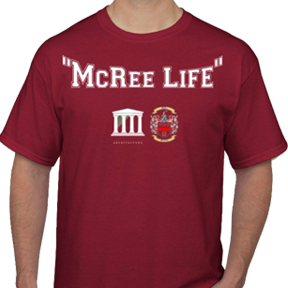 McRee Life Gear is now in! 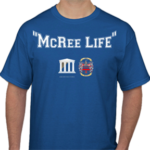 Email us to get your McRee Life t-shirts!